Established in 1999, CapeTel is a telecommunication company whose mission is to assist organizations in maximising their profile in the internet revolution. Our staff includes personnel with over 75 years' experience in telecommunication industry. With decades of experience, you have found a source of technical expertise that you can trust. CapeTel offer full turnkey solutions pertaining to telecommunication infrastructure, tailored for specific clients' needs and demands. 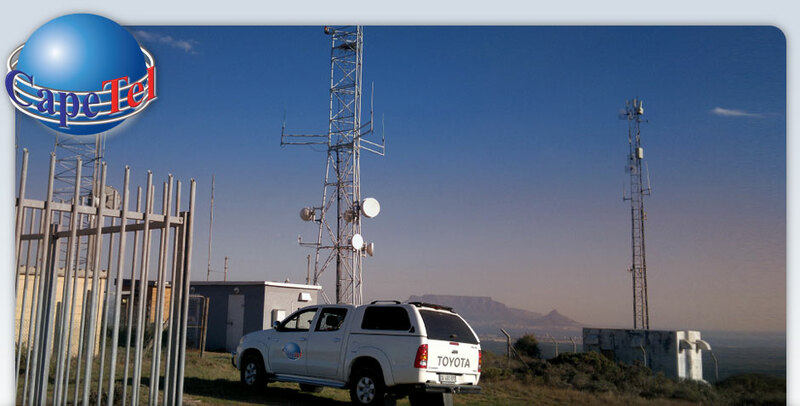 CapeTel offers a wide range of services, from cellular establishment, RF installation, site planning and many more services. View our full range of services. Established in 1999, CapeTel is a telecommunication company. Interested in a quote? Let us call you.